Holiday Gift Guide: Coming Soon! If you’ve been following my blog for a while, you know that I love putting together holiday gift guides and product reviews for my readers! A few products have rolled my way to test out and introduce you to (such as Honolulu Cookie Company, Lakeshore Learning, and Turtle Beach), and I will also be scouring the stores and internet for other ideas to share with you. My gift guides often include products from small businesses as well as larger brands you may have heard of, to give you the best of both worlds. We are looking for products for the whole family – that includes mom, dad, the kids, the pets, and grandma and grandpa even! 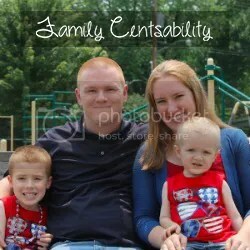 If you are a small business owner, a PR representative for a large brand, or even have a recommendation of a product to include, send me an email at familycentsability@gmail.com and I would be glad to hear from you. There is no fee to be included in the holiday gift guide!